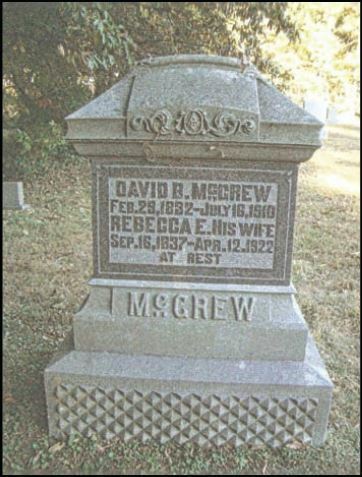 David was born in Ohio to Nathan McGrew and Mary Huston. 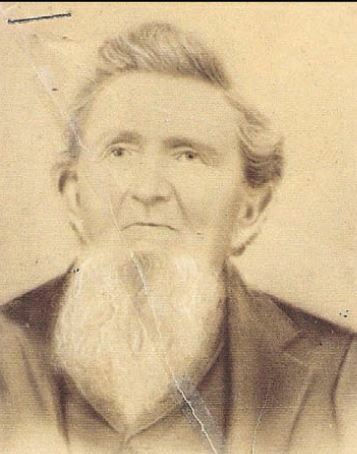 After spending a time in Iowa, he returned to Indiana by 1870, settling in Patricksburg before finally moving to Vigo and then to Sullivan counties. He married Rebecca Ellen Saltsgiver who was the daughter of Joseph Saltsgiver and Maria Davis Kail. They are both buried at Stephens Cemetery in Vigo County. This entry was posted in Sullivan County, Vigo County and tagged Cochran, Huston, Jones, Kail, Kimbel, McGrew, Roberts, Saltsgiver, Stickels, Trimble on July 14, 2014 by oahblog.